you'll get the translation in the language of that country. They moved Ziyad to Ray Brook NY . Campaign to Release Ziyad Yaghi from the SHU ! Ziyad Yaghi has been in the highly restrictive Special Housing Unit at the Federal Penitentiary in Coleman Florida since last October . This is basically a "lock-down" situation , where even telephone calls are limited to once a month . All visits are non-contact visits behind glass and over a telephone . The only reason given for this situation is that he is "under investigation" . There is no end in sight . Please help us put the pressure on the prison to release him into the general population by writing a letter to the Warden, and sending copies to Attorney General Holder and to the Federal Bureau of Prisons . You may use the template included here , but please add a personal comment of some kind - if only a sentence . We want to generate hundreds of letters , and so please ask friends to join you in doing this . after almost 3 years from coming back from overseas! The charges are that they went overseas to kill people! 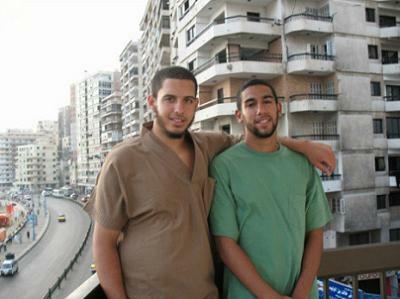 Ziyad was to go to College just before they arrested him! All three defendants were convicted on Thursday October 13, 2011. Omar Aly Hassan was found not guilty of that charge. But he was convicted of providing material support to terrorists. (Providing material support to terrorists and conspiring to commit jihad overseas). Flags courtesy of ITA 's Flags of All Countries used with permission.